Throughout our research, we were struck by the continual use of words like disciplined, rigorous, dogged, determined, diligent, precise, fastidious, systematic, methodical, workmanlike, demanding, consistent, focused, accountable, and responsible. They peppered articles, interviews, and source materials on the good-to-great companies, and were strikingly absent from the materials on the direct comparison companies. People in the good-to-great companies became somewhat extreme in the fulfillment of their responsibilities, bordering in some cases on fanaticism. We came to call this the "rinsing your cottage cheese" factor. The analogy comes from a disciplined world-class athlete named Dave Scott, who won the Hawaii Ironman Triathlon six times. In training, Scott would ride his bike 75 miles, swim 20,000 meters, and run 17 miles - on average, every single day. Dave Scott did not have a weight problem! Yet he believed that a low-fat, high-carbohydrate diet would give him an extra edge. So, Dave Scott - a man who burned at least 5,000 calories a day in training - would literally rinse his cottage cheese to get the extra fat off. Now, there is no evidence that he absolutely needed to rinse his cottage cheese to win the Ironman; that's not the point of the story. The point is that rinsing his cottage cheese was simply one more small step that he believed would make him just that much better, one more small step added to all the other small steps to create a consistent program of superdiscipline (p. 127). 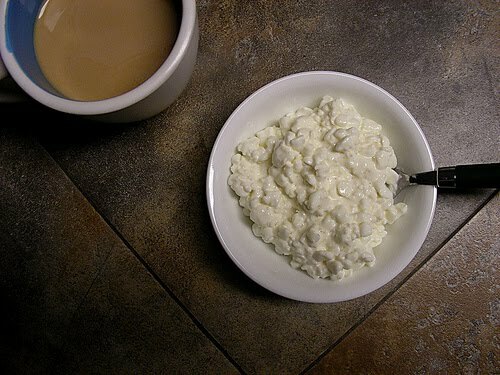 If an athlete like Dave Scott finds it important to literally rinse out his cottage cheese to get an additional edge for a triathlon, and an elite corporation is fanatical about a consistent, disciplined culture, how much more should a Christian be superdisciplined in order to move from good to great in their journey through life. In my next post, Part 2, I will look at the application of the "rinsing your cottage cheese" factor for the Christian.